If you are experiencing a current emergency, please visit the nearest emergency room for service. In the event of an emergency, helping an individual with mental health needs feel prepared and able to cope with the situation takes special consideration. 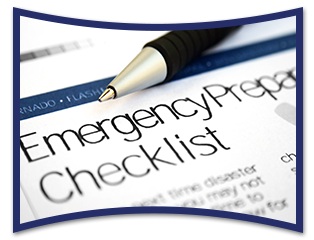 Here are some things you should know in order to respond effectively to emergency situations. Keep yourself and your family informed with the most accurate, up-to-date information. Stay tuned to local media for continuing updates from the Louisiana Department of Health and Hospitals and other emergency response organizations. You can find links to various emergency resources at the side of this page. Keep records about any special health concerns on hand. Keep this information in a safe, accessible place. If the need arises, anyone in your family should be able to find medical records/cards quickly to share with medical workers and health care professionals. Be prepared. Make sure you have an appropriate plan in place for health-related as well as weather-related threats. Are you aware of evacuation procedures? If you cannot leave your home, do you have a good supply of food and water available? Do you have materials for boarding windows if necessary? What about plans to care for any outdoor/indoor animals? Communicate with loved ones who have health concerns. Just talking with family members and friends to let them know you have a “just-in-case” plan will help them feel more secure about your family’s ability to respond to any kind of emergency. Keep Calm. Don’t overact to a situation; it will just make your loved ones nervous. Instead, use common sense to apply the appropriate response to the appropriate situation. Your ability to respond calmly during an emergency will allow public health officials to take whatever steps are necessary to restore order.